No doubt about it: 2012 was a difficult year for most of us. True to the Italian saying about leap years being unlucky, 2012 ran the gamut from weather-related disasters, wars and other acts of random violence to political malfunction and economic near-collapse, sparing almost no part of the world. There was no lack of disruption in my own little world either. In spite of all my good resolutions, the year started with a few weeks of less than stellar physical condition (nothing serious, but enough to grind most of my projects to a halt), and then I was hit by a double-whammy of bureaucracy-related problems that – while obviously not tragic – caused enough distress to cast a pall over the remaining months. It is not surprising, therefore, that in 2012 I have been less prolific a reviewer than in previous years, or that the views on this blog have somehow decreased, though not dramatically so. Constant stress can wreak havoc on inspiration, and at times it was hard to come up with a coherent sentence – let alone an 800-word review. However, in spite of the seemingly endless stream of worry and general annoyance, music has remained a source of delight and (as the title of this essay points out) comfort when things got really tough. The number of progressive rock-related albums released during 2012 was nothing short of staggering. The second decade of the 21st century started indeed with a bang in 2011, and, at least for the time being, the trend does not show any signs of being reversed. Many of those albums were made available for streaming (at least for a limited time) by websites such as Progstreaming, Bandcamp or Soundcloud, allowing the often cash-strapped fans a “test run”. On the other hand, the sheer volume of new releases made it necessary to pick and choose to avoid being overwhelmed. While confirming the vitality of the genre, this also showed one of the downsides of the digital age – the oversaturation of the market, and frequent lack of quality control. As my readers know, I do not do “top 10/20/50/100” lists, leaving this exercise to people who are interested in arranging their choices according to a more or less strict order of preference. From my perspective, there have been milestone releases, and others that – while perhaps not equally memorable – still deserve a mention. On any account, even more so than in the previous year, 2012 has emphasized the ever-widening gulf between the retro-oriented and the forward-thinking components of the prog audience. Sometimes, while looking at the reviews pages of some of the leading websites of the genre, I have had the impression that (to paraphrase Rudyard Kipling) the twain shall hardly ever meet. In the US, such a split has been detrimental to the festival scene – though the void left by NEARfest’s demise may lead organizers to step out of their typical audience’s comfort zone in order to attract a more diverse crowd. Though I am most familiar with albums that I have reviewed, or otherwise own, there are others that have left enough of an impression to deserve a mention in this post. As my choices have been mainly informed by personal taste, I will apologize beforehand for any major omissions. While I may consider those albums essential listening, some of my readers will certainly disagree with me, and suggest their own personal picks –and this is exactly how things should be. Indeed, as the French would say, vive la différence! Although I have built a reputation as a fan of the more “difficult” stuff, one of my favourite albums of the year (and one that is likely to be featured in many top 10 lists) is an album that, in many respects, is not even “prog” in the conventional sense of the word. However, Echolyn’s self-titled eighth studio album – unlike so many true-blue prog releases – is a masterpiece of songwriting, instrumentally tight without any concessions to self-indulgence, and packing a huge emotional punch. Another highly awaited, almost unexpected comeback – 18 years after the band’s previous studio effort – Änglagård’s third studio album, Viljans Öga, reveals a keen, almost avant-garde edge beneath its pastoral surface, well highlighted in their impeccable NEARfest appearance. 2012 was a milestone year for what I like to call the “new frontier” of prog – less focused on epic grandeur and more song-oriented. In the second decade of the 21st century, “progressive rock” and “song” are not antithetic concepts any longer, and going for 5 minutes instead than 15 is not a sign of sell-out. Three albums in particular stand out: 3RDegree’s The Long Division, a perfect combination of great melodies, intelligent lyrics and outstanding musicianship with the added value of George Dobbs’ Stevie Wonder-influenced vocals; the Magna Carta reissue of MoeTar’s 2010 debut From These Small Seeds, a heady blend of catchy hooks, edgier suggestions and Moorea Dickason’s stellar, jazz-inflected voice; and Syd Arthur’s delightful “modern Canterbury” debut, On And On – infused with the spirit of early Soft Machine and Pink Floyd. As in the previous years, in 2012 the ever-growing instrumental prog scene produced some outstanding albums. Canadian multi-instrumentalist Dean Watson wowed devotees of high-energy jazz-rock with Imposing Elements, the second installment of his one-man project – inspired by the industrial Gothic paintings of Toronto-based artist Ron Eady. In the early months of 2012, French seven-piece Forgas Band Phenomena made a triumphant recording comeback with the exhilaratingly accomplished Acte V. Another two excellent Cuneiform releases, Ergo’s second album If Not Inertia and Janel & Anthony’s lovely debut, Where Is Home, while not immediately approachable, will gradually win over the discerning listener with their deep emotion and lyricism. In a similar vein, A Room for the Night by drummer extraordinaire John Orsi (the mind behind Providence-based collective Knitting By Twilight) provides a veritable aural feast for percussion lovers. On the cusp of prog, jazz and metal, the aptly-titled Brutal Romance marks the thunderous return of ebullient French power trio Mörglbl, led by Christophe Godin’s humour-laden guitar acrobatics. Leonardo Pavkovic’s Moonjune Records specializes in instrumental music of a consistently high standard of quality, and this year’s landmark releases were no exception: Indonesian powerhouses Ligro (Dictionary 2) and Tohpati Bertiga (Riot), Canadian quartet Mahogany Frog’s rivetingly eclectic Senna, and douBt’s towering Mercy, Pity, Peace & Love – all of them true melting pots of rock, jazz, avant-garde and psychedelia. Also very much worthy of exploration, Kotebel’s Concert for Piano and Electric Ensemble revisits and updates the marriage of classical music and progressive rock with a heady dose of traditional Spanish flavour. The left-field fringe of the progressive rock spectrum was spearheaded by the tireless efforts of dedicated labels such as Cuneiform Records and AltrOck Productions. One of 2012’s musical milestones – the long-awaited sixth studio album by seminal US Avant outfit Thinking Plague, titled Decline and Fall – was released in the very first weeks of the year. Mike Johnson’s monumentally intricate, intensely gloomy reflection on humankind’s impending Doomsday was complemented by a Thinking Plague-related project of a vastly different nature – the charming, Old-World whimsy of 3 Mice’s Send Me a Postcard, Dave Willey and Elaine Di Falco’s transatlantic collaboration with Swiss multi-instrumentalist Cédric Vuille. By an intriguing coincidence, almost at the tail end of the year came the stunning live album by one of the foremost modern RIO/Avant outfits, Yugen’s Mirrors – recorded at the 2011 edition of the Rock in Opposition festival in Carmaux (France). A special mention is also deserved by Cuneiform’s touching tribute to RIO icon Lars Hollmer, With Floury Hand (sketches), released four years after the artist’s untimely passing. On the Zeuhl front, founding fathers Magma made their comeback with the short and unusually low-key Félicité Thosz, proving once again Christian Vander’s versatility and seemingly endless reservoir of ideas; while the US produced an astonishing example of Zeuhl inspired by Aztec mythology – multi-national outfit Corima’s second album Quetzalcoatl. Eclectic albums such as Cucamonga’s Alter Huevo, Inner Ear Brigade’s Rainbro (featuring another extremely talented female vocalist, Melody Ferris) and Stabat Akish’s Nebulos – as well as chamber-rock gems such as Subtilior’s Absence Upon a Ground and AltrOck Chamber Quartet’s Sonata Islands Goes RIO – reinforced AltrOck’s essential role in the discovery of new, exciting talent on the cutting edge of the progressive rock scene. Also worthy of a mention as regards the Avant-Progressive field are the politically-charged Songs From the Empire by Scott Brazieal, one of the founding fathers of the US Avant scene; the exhilarating Sleep Furiously by English outfit Thumpermonkey; the wacked-out return of cult Finnish band Alamaailman Vasarat, titled Valta; and French quartet Jack Dupon’s energetic double live CD set, Bascule A Vif . The Avant-Progressive scene was also celebrated in the second episode of José Zegarra Holder and Adele Schmidt’s documentary film series dedicated to progressive rock , Romantic Warriors II – About Rock in Opposition. The year was also noted for hotly anticipated comebacks from high-profile acts: first of all, Rush, who were also finally inducted in the Rock and Roll Hall of Fame, for the joy of their substantial following. Their Clockwork Angels, while not a life-altering masterpiece, is definitely their strongest effort in almost 20 years. 2012 also saw the release of Ian Anderson’s Thick As a Brick 2, mixed by none other than Steven Wilson (also responsible in 2012 for the 40th Anniversary edition of King Crimson’s seminal Larks’ Tongues in Aspic) – a solid, well-crafted album, though not on a par with the original. While King Crimson seem to have been put on hold indefinitely, Robert Fripp has not been idle, and the elegant Travis/Fripp CD/DVD package Follow offers a complete aural and visual experience – suitably rarefied yet spiked by almost unexpected electric surges – to diehard fans of the legendary guitarist. On the “modern prog” front, standard-bearers The Mars Volta’s sixth studio album Noctourniquet marks a return to form for the band, as it is their tightest, most cohesive effort in quite a long time. The Tea Club’s third album, Quickly, Quickly, Quickly confirms the status of the New Jersey band (now a trio) as one of the most interesting modern outfits, with a respectful eye towards the golden age of the genre; while Gazpacho’s deeply atmospheric March of Ghosts offers another fine example of English label KScope’s “post-progressive” direction. In a more accessible vein, Canadian/Ukrainian duo Ummagma’s pair of debut albums, Ummagma and Antigravity, will appeal to fans of Kate Bush, Dead Can Dance and Cocteau Twins with their ethereal yet uplifting feel. Though I cannot call myself a fan of progressive metal, the debut albums by female-fronted German band Effloresce (Coma Ghosts) and Israeli outfit Distorted Harmony (Utopia) made enough of an impression to deserve a mention here; while Diablo Swing Orchestra’s Pandora’s Piñata – the band’s most mature effort to date – transcends the boundaries of the genre. At the very beginning of the year, Steve Brockmann and George Andrade’s opus AIRS: A Rock Opera updates the classic rock opera format while deftly avoiding the cheesiness of other similar efforts, concentrating on a moving tale of guilt and redemption interpreted by an array of considerable vocal and instrumental talent. The thriving contemporary psychedelic/space rock scene also produced a slew of fine albums that combine modernity and eclecticism with an unmistakable retro touch: among many others, Øresund Space Collective’s mellow West, Space and Love, Earthling Society’s eerie pagan-fest Stations of the Ghost, Colour Haze’s Krautrock-influenced double CD set She Said, Diagonal’s fiery The Second Mechanism, Astra’s highly awaited (though to these ears not as impressive as the others) second album, The Black Chord. Fans of Krautrock, and Can in particular, should also check out Black and Ginger by Churn Milk Joan, one of the many projects by volcanic English multi-instrumentalist Colin Robinson (of Big Block 454 fame); while Australian band Tame Impala’s Lonerism will appeal to those who like psychedelic rock in a song-based format. As prolific and varied as ever, the Italian progressive rock scene produced a number of remarkable albums ranging from the classic symphonic prog of Höstsonaten’s The Rime of the Ancient Mariner Pt. 1, Alphataurus’ comeback AttosecondO and Locanda delle Fate’s The Missing Fireflies (featuring both older and new material) to more left-field fare such as Nichelodeon’s live album NO, Stereokimono’s Intergalactic Art Café and Daal’s Dodecahedron. Another of Fabio Zuffanti’s many projects besides Höstsonaten, L’Ombra della Sera, presents an appealingly Gothic-tinged, almost completely instrumental homage to the soundtracks of cult Italian TV series of the Seventies. Aldo Tagliapietra’s Nella Pietra e Nel Vento, his first release after his split from Le Orme, a classy, prog-tinged singer-songwriter effort, boasts a splendid cover by Paul Whitehead. The prize of most impressive RPI album of the year, however, goes to Il Bacio della Medusa’s ultra-dramatic historical concept Deus Lo Vult, with side project Ornithos’ eclectic debut La Trasfigurazione a close second. Of the many “traditional” prog albums released in 2012, one in particular stands out on account of its superb songwriting: Big Big Train’s English Electric Pt 1, an effort of great distinction though not as impressive as its predecessor, 2009’s The Underfall Yard. Autumn Chorus’ debut The Village to the Vale also celebrates the glories of England’s green and pleasant land with a near-perfect marriage of pastoral symphonic prog and haunting post-rock; while Israeli outfit Musica Ficta’s A Child & A Well (originally released in 2006) blends ancient and folk music suggestions with jazz and symphonic prog. Released just three weeks before the end of the year, Shadow Circus’ third album, On a Dark and Stormy Night (their first for 10T Records), based on Madeleine L’Engle’s cult novel A Wrinkle in Time, fuses symphonic prog with classic and hard rock in an exhilarating mixture. On the other hand, Pacific Northwest trio Dissonati’s debut, Reductio Ad Absurdum, gives classic prog modes a makeover with influences from new wave and avant-garde. Highly touted outfit District 97’s sophomore effort, Trouble With Machines, proves that the Chicago band is much more than a nine days’ wonder, showcasing their tighter songwriting skills, as well as vocalist/frontwoman Leslie Hunt’s undeniable talent and charisma. With such a huge wealth of releases, it was materially impossible for me to listen to everything I would have wanted to, and my personal circumstances often impaired my enjoyment of music, as well as my concentration. Among the releases of note that I missed in 2012 (though I still hope to be able to hear in 2013), I will mention Beardfish’s The Void, Anathema’s Weather Systems, Dead Can Dance’s comeback Anastasis, Godspeed You! Black Emperor’s Allelujah! Don’t Bend! Ascend! (another comeback, released after a 10-year hiatus), Aranis’ Made in Belgium, The Muffins’ Mother Tongue, Alec K. Redfearn and the Eyesores’ Sister Death, and Motorpsycho’s The Death-Defying Unicorn. All of these albums have been very positively received by the prog community, even if they will not necessarily appeal to everyone. As was the case with my 2011 retrospective, quite a few highly acclaimed prog albums will be missing from this article. This implies no judgment in terms of intrinsic quality, but is simply determined by personal taste. Albums such as The Flower Kings’ Banks of Eden, Marillion’s Sounds That Can’t Be Made or IZZ’s Crush of Night (to name but three) –although thoroughly professional and excellent from a musical point of view – failed to set my world on fire. A pure matter of chemistry – as further demonstrated by my lack of enthusiasm for Storm Corrosion’s self-titled album (which reflected my reaction to Steven Wilson’s Grace for Drowning in 2011), or Mike Keneally’s undoubtedly outstanding Wing Beat Fantastic, co-written with Andy Partridge of XTC fame. 2012 was also a great year for live music, with both big names and new talent hitting the road. While we missed some of the former (such as Rush and Peter Gabriel), as well as this year’s edition of RoSfest, the one-two punch of NEARfest Apocalypse and ProgDay 2012 more than made up for it. Unfortunately, the all-out Seventies bash named FarFest, organized by a veteran of the US prog scene such as Greg Walker, and planned for early October 2012 – was cancelled due to poor ticket sales, reinforcing the impression that the era of larger-scale prog festivals may well be coming to an end (in spite of the announcement of Baja Prog’s return in the spring of 2013). On the other hand, the much less ambitious ProgDay model is likely to become the way forward, as are the smaller, intimate gigs organized by people such as Mike Potter of Orion Studios, the NJ Proghouse “staph”, and our very own DC-SOAR. With an impressive list of forthcoming releases for every progressive taste, 2013 looks set up to be as great a year as the previous two. In the meantime, we should continue to support the independent music scene in our best capacity – not just by buying albums or writing about them, but also attending gigs and generally maintaining a positive, constructive attitude. I would also like to thank all my friends and readers for their input and encouragement, which has been invaluable especially whenever the pressures of “real life” became too hard to bear. If this piece has seen the light of day, it is because you have made me feel that it was still worth it. 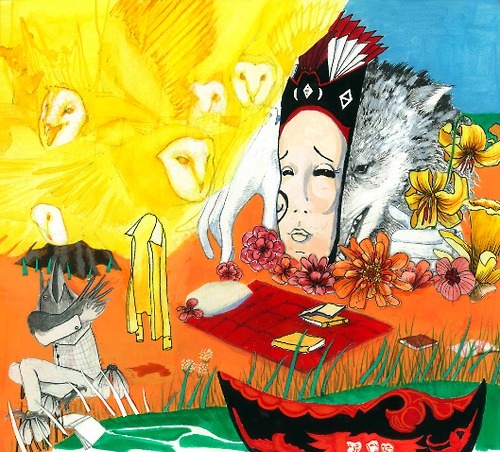 New Jersey band The Tea Club seem to follow a regular schedule in the release of their albums: indeed, their third effort, bearing the snappy title of Quickly, Quickly, Quickly, comes two years after Rabbit , which in turn had come two years after their debut, General Winter’s Secret Museum. In the span of those four years, the band went from a trio of brothers Pat and Dan McGowan and drummer Kyle Minnick to a four-piece with the addition of keyboardist Becky Osenenko, then, in the months after Rabbit’s release, added two more members (bassist Charles Batdorf and guitarist Jim Berger) and replaced Minnick with Joe Rizzolo. Quickly, Quickly, Quickly was recorded by the band as a quintet, with the mysteriously-named R. McGeddon providing additional instruments. At the time of writing, the band have reverted to a trio format, with only Rizzolo left of all those “new entries”. In spite of the permanent state of flux of their lineup, The Tea Club have been actively pursuing their own artistic path, which has marked them as one of the most interesting and original acts of the contemporary progressive rock scene. In the two years that have followed Rabbit – an album that has earned them the attention of those prog fans that the more straightforward nature of General Winter’s Secret Museum had left somewhat unimpressed – the band have appeared at ProgDay 2011, supported Swedish act Beardfish in their 2012 US mini-tour, produced a number of videos, and written 80 minutes worth of music for their new album, half of which is featured on Quickly, Quickly, Quicky. As a non-fan of excessively long albums, I commend their choice of splitting the material in two parts – as Radiohead (one of their undisputed influences) did in the early 2000’s with the sessions that led to Kid A and Amnesiac. The caption “pastoral post-rock blending into proper progressiveness” proudly featured on The Tea Club’s website effectively describes the band’s musical direction, which acknowledges their membership of the vast, somewhat indistinct “prog” universe, while at the same time distancing them from anything smacking too much of nostalgia. Indeed, the band – for all their constant shape-shifting – have succeeded in retaining their own recognizable sound, painstakingly refined over the years, and characterized by a masterful handling of post-prog’s trademark quiet-loud dynamics. The high-pitched but always tuneful voices of the McGowan brothers – often twined in heady harmonies – also anchor The Tea Club’s sound to the modern prog aesthetics, evoking iconic singers such as Radiohead’s Thom Yorke, Muse’s Matt Bellamy or The Pineapple Thief’s Bruce Soord, or even The Mars Volta’s Cedric Bixler-Zavala – though avoiding the occasionally whiny, abrasive tones that can make those vocalists an acquired taste. Indeed, the brothers’ voices are treated more like additional instruments than as something separate, complementing Quickly, Quickly, Quickly‘s largely lyrics-oriented nature. The Tea Club’s allegiance to traditional prog modes is revealed by the increasing length of their compositions, which comes to full fruition on Quickly. Quickly, Quickly. In spite of the title, the music is anything but quick to sink in, and – as in the case of Rabbit – it may take a while to click. Interestingly, throughout the album the guitars are used more as an accent than as the main event, and the sleek, pulsing interplay of Charles Batdorf’s meaty bass lines, Joe Rizzolo’s authoritative drumming and Becky Osenenko’s layers of keyboards (including piano and Hammond organ) suggest the expertly rendered contrast between softness and angularity of Yes at their peak – though with a distinctly contemporary slant. Rizzolo’s trademark, surging drum rolls, on the other hand, may often recall The Mars Volta, particularly on their genre-defining debut, De-Loused in the Comatorium. The band’s choice to open the album with the 18-minute workout of “Firebears”, which somehow sums up the band’s vision and their evolution of the past four years, is undoubtedly a brave move – as epic-length openers all too often render the album top-heavy, to the detriment of what comes afterwards. However, things are balanced by the respectable running time of the remaining three songs. “Firebears” kicks off in unmistakable Tea Club style, with majestic drum rolls, soaring vocals and jangly guitar riffs, then gradually slows down to a rarefied, pastoral middle section, with half-spoken, almost whispered vocals: then things pick up again, and the final part of the song sees all the instruments converge in an exhilarating, intense climax. Although the song might have benefited by some trimming – as it is packed with good ideas that do not always coalesce into a perfect whole – it showcases the band’s potential in tantalizing fashion. Like the previous track, “The Eternal German Infant” opens on a high note, building up and then slowing down in an intriguing ebb-and-flow structure. Soothing, almost Beatlesian vocal harmonies (which, together with Dan McGowan’s vocals, put me in mind of Echolyn), pastoral keyboards and gently chiming guitar coexist with tense, jagged moments that, however, do not neglect melody. In contrast, the dark lullaby of “Mister Freeze” reprises the spirit of “Royal Oil Can” on Rabbit, while spacey keyboards and bits of Hammond organ add to the vaguely menacing atmosphere – again, bringing to mind The Mars Volta, and even some of King Crimson’s subdued yet tense pieces. The almost 10-minute “I Shall Consume Everything” wraps up the album by bringing together all the strains and themes introduced by the previous numbers, juxtaposing moments of pastoral gentleness with flares of sheer intensity, surging like a wave propelled by a remarkable instrumental synergy. With its visionary, sometimes slightly disturbing lyrics, paralleled by Kendra De Simone’s customary quirky artwork, Quickly, Quickly, Quickly is a bold statement that thankfully eschews the pitfalls of pretentiousness by keeping its running time at a restrained 42 minutes. Not an easy album to get into at first – unlike the band’s punchy, more streamlined debut – but rewarding in the long run, it shows a band that is constantly evolving, in spite of the growing pains manifested in in their frequent lineup changes. In any case, this is a fine release that is likely to be appreciated both by fans of modern prog and more traditional-minded listeners. Named after the Greek goddess of night, N.y.X. is a project by a duo of talented multi-instrumentalists, Danilo A. Pannico and Walter F., based in the north-western Italian region of Piedmont. Their recording debut, a self-titled EP released in 2005, was followed in 2009 by Down in Shadows, their first full-length CD, released on Electromantic Music, the label founded by Arti e Mestieri’s keyboardist Beppe Crovella. I first encountered N.y.X. last year, when reviewing Trey Gunn’s double-CD compilation I’ll Tell What I Saw, which included “Down in Shadows [Part I]”. The presence of two legends of progressive rock such as Gunn and former Van Der Graaf Generator saxophonist David Jackson aptly represents the nature of N.y.X.’s musical offer, which seems to straddle the line between tradition and modernity. Indeed, VDGG (who have had a strong following in Italy since the early days of the prog movement) are by far the most noticeable influence on N.y.X.’s music. This is not to say that N.y.X. sound derivative, but rather that their compositional approach parallels VDGG’s skillfully achieved balance of slow-burning melody and unbridled chaos (as exemplified by their magnum opus “A Plague of Lighthouse Keepers”). Those who still believe that Italian progressive rock is for the most part sickly sweet and heavily keyboard-laden with operatic vocals should get ready to have those convictions challenged when listening to Down in Shadows – a concept album dealing with the topics of loneliness and betrayal. Not surprisingly, and quite fittingly, the music is dense and often aggressive, packed with riffs and martial drum beats, interspersed by ominously rarefied pauses – in which electronic effects and treated vocals hold sway – and almost deceptively melodic, laid-back moments. Walter F.’s idiosyncratic vocal approach often brings to mind Peter Hammill or Adrian Belew, as well as emotionally charged Italian prog singers of the classic era such as Jumbo’s Alvaro Fella. The fluid, eerily reverberating soundscapes created by Gunn’s touch guitars temper the more upfront moments, while David Jackson’s signature style enhances the music’s expressive potential. Clocking in at under 40 minutes, and featuring seven tracks between 2 and 11 minutes, Down in Shadows is a quintessentially eclectic effort that packs a lot in its unusually compact running time. “Down in Shadows [Part I]” opens with the understated sound of a carillon, eventually exploding into harsh riffs and supercharged drumming – like King Crimson on steroids; a magnificent, Eastern-tinged Warr guitar solo vies for attention with Walter F.’s dramatic vocal performance. The much shorter “Day After Day” continues on a similar path, blending the mainstream overtones of its low-key, acoustic beginning with the unabashed experimentalism of the second half (complete with the sound of a ringing phone and subsequent recorded message). “Colour” and “O.Y.O. [On Your Own]” offer more permutations of those melody-noise dynamics – the former driven by piano and cello, the latter conjuring reminiscences of Eighties King Crimson with its subtle tempo shifts, while the vocals definitely channel Peter Hammill. On “Wait” the haunting soundscapes expertly woven by Gunn’s Warr guitar merge with slightly breathy, sensitive Hammillesque vocals with a touch of Roger Waters; from an instrumental point of view, the track reminded me of the approach adopted by Herd of Instinct on their 2011 debut album. The short almost-instrumental “C18H21NO3-30 mg Kodeina” – in which a soprano voice is backed by cello, piano and eerie feedback effects – introduces “Down in Shadows [Part II]”, a nearly11-minute tour de force with a dynamic, VDGG-inspired, vocal-driven first half , a subdued middle section that makes good use of cellist Marco Allocco’s tango background, and an instrumental third half in turns chaotic and atmospheric. The vaguely sinister tinkle of carillon reappears at the end, bringing the album (and the story) full circle. 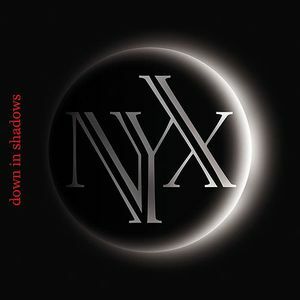 Three years after the release of Down in Shadows, N.y.X. seem to be very much on hiatus, with the two artists pursuing other projects. Hopefully an album that shows so much promise will not turn out to be a one-off, even though the current non-mainstream music scene is anything but easy to navigate. However things develop in the N.y.X. camp, Down in Shadows is a worthwhile effort, highly recommended to fans of King Crimson and Van Der Graaf Generator, as well as followers of the variegated “modern prog” galaxy. A special mention is deserved by the stylish CD booklet, which includes a stunning upside-down photo of the chandelier in the entrance of Antoni Gaudí’s iconic Casa Batlló. Formed in 2006, when the four former members of a prog metal cover band called Kimaera Project joined forces with vocalist Luca Guidobaldi, Rome- based quintet Seventh Will debuted in 2007 with the demo Pink Clouds and Heavy Rain. In the following years, they concentrated on the realization of their first full-length CD, an ambitious concept by the title of Ordinary Li(f)e, eventually released in 2010. For many progressive rock fans, the Italian scene is almost automatically associated with the so-called “symphonic’ bands of the Seventies, all operatic vocals, sweeping keyboards and lush arrangements. However, in the second decade of the 21st century Italian prog does not seem to be stuck in a time warp, and bands such as Seventh Will show that there the Seventies model is not the only blueprint for acts hailing from the boot-shaped peninsula. In fact, a first-time listener may notice that Ordinary Li(fe) does not sound typically Italian – and not only on account of the English-language lyrics. While quite a few contemporary Italian bands display that timeless sense of warmth and melody that is one of the hallmarks of Italian music, and that seems to complement progressive rock so well, Seventh Will have chosen to tread a different, more international-sounding path. 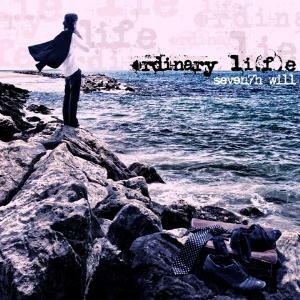 Ordinary Li(fe) is a very ambitious undertaking, based on an elaborate concept (one day in the life of Will, an archetypal “ordinary man”), illustrated in detail on the band’s blog. With a running time of 68 minutes, and most tracks over the 6-minute mark, it inevitably features some filler material that might have been left out without detriment to the album’s overall structure. Moreover, the longer tracks, particularly the 12-minute “Lying on a Pink Cloud”, occasionally suffer from lack of cohesion, sounding at times like a collection of separate passages strung together without an actual plan. Luca Guidobaldi’s high-pitched, vaguely plaintive vocals belong to the Thom Yorke/Matt Bellamy school of singing – with a pinch of Cedric Bixler-Zavala’s more aggressive tone thrown in – with only his accent giving his non-English origin away. While the band’s previous prog metal matrix– represented mainly by sharp riffs and sudden accelerations – occasionally emerges, most evidently in the intense yet atmospheric “Colliding” (which made me think of Riverside circa Second Life Syndrome), on the whole the album comes across as a rather eclectic effort. Indeed, its basic Pink Floyd/Porcupine Tree inspiration is enhanced by nods to vintage hard rock (as in the title track, which opens the album with Hammond organ swirls offset by more subdued passages), or to more avant-garde acts such as The Mars Volta or Mr Bungle, complete with slightly dissonant passages (as in “Night Euphoria”). The band’s liberal use of quiet-loud dynamics indicates the band’s allegiance to the post-prog aesthetics embodied by most of the acts on the Kscope roster, including their fellow Italians Nosound. US band The Tea Club might also provide a useful term of comparison, especially on account of the similar vocal style and the use of slow build-up leading to powerful climaxes – as exemplified by “In Circle”. On the other hand, a couple of contiguous pieces, “Acid Carousel” and “Ashes”, draw upon Pink Floyd’s late Seventies heyday – the former echoing the theatrical scope of The Wall (hard not to be reminded of Roger Waters’ commanding performance in “The Trial”); the latter patterned on melancholy acoustic pieces such as “Wish You Were Here”. Album closer “Starseeing on the Shore” offers a sonic rendition of the lovely cover image with a slow-burning, atmospheric ballad driven by acoustic guitar, piano and vocals, and synth effects evoking the sound of the surf. Though, as is very often the case with debut albums, Ordinary Li(fe) is still very much of a “work in progress”, and inevitably derivative in parts, it also points to a promising band that is trying to break free of the “retro-prog” mould. It is to be hoped that they will adopt a more streamlined approach to songwriting in their next recording effort. In any case, the album is likely to appeal to fans of modern progressive rock, with particular regard to Steven Wilson’s numerous projects and most of Kscope’s output.